1 And I stood upon the sand of the sea, and saw a beast rise up out of the sea, having seven heads and ten horns, and upon his horns ten crowns, and upon his heads the name of blasphemy. 2 And the beast which I saw was like unto a leopard, and his feet were as the feet of a bear, and his mouth as the mouth of a lion: and the dragon gave him his power, and his seat, and great authority. 3 And I saw one of his heads as it were wounded to death; and his deadly wound was healed: and all the world wondered after the beast. 4 And they worshipped the dragon which gave power unto the beast: and they worshipped the beast, saying, Who is like unto the beast? who is able to make war with him? 5 And there was given unto him a mouth speaking great things and blasphemies; and power was given unto him to continue forty and two months. 6 And he opened his mouth in blasphemy against God, to blaspheme his name, and his tabernacle, and them that dwell in heaven. 7 And it was given unto him to make war with the saints, and to overcome them: and power was given him over all kindreds, and tongues, and nations. 8 And all that dwell upon the earth shall worship him, whose names are not written in the book of life of the Lamb slain from the foundation of the world. 9 If any man have an ear, let him hear. 10 He that leadeth into captivity shall go into captivity: he that killeth with the sword must be killed with the sword. Here is the patience and the faith of the saints. 11 And I beheld another beast coming up out of the earth; and he had two horns like a lamb, and he spake as a dragon. 12 And he exerciseth all the power of the first beast before him, and causeth the earth and them which dwell therein to worship the first beast, whose deadly wound was healed. 13 And he doeth great wonders, so that he maketh fire come down from heaven on the earth in the sight of men, 14 And deceiveth them that dwell on the earth by the means of those miracles which he had power to do in the sight of the beast; saying to them that dwell on the earth, that they should make an image to the beast, which had the wound by a sword, and did live. 15 And he had power to give life unto the image of the beast, that the image of the beast should both speak, and cause that as many as would not worship the image of the beast should be killed. 16 And he causeth all, both small and great, rich and poor, free and bond, to receive a mark in their right hand, or in their foreheads: 17 And that no man might buy or sell, save he that had the mark, or the name of the beast, or the number of his name. 18 Here is wisdom. Let him that hath understanding count the number of the beast: for it is the number of a man; and his number is Six hundred threescore and six. 3 And they sung as it were a new song before the throne, and before the four beasts, and the elders: and no man could learn that song but the hundred and forty and four thousand, which were redeemed from the earth. 4 These are they which were not defiled with women; for they are virgins. These are they which follow the Lamb whithersoever he goeth. These were redeemed from among men, being the firstfruits unto God and to the Lamb. 5 And in their mouth was found no guile: for they are without fault before the throne of God. 6 And I saw another angel fly in the midst of heaven, having the everlasting gospel to preach unto them that dwell on the earth, and to every nation, and kindred, and tongue, and people, 7 Saying with a loud voice, Fear God, and give glory to him; for the hour of his judgment is come: and worship him that made heaven, and earth, and the sea, and the fountains of waters. 11 And the smoke of their torment ascendeth up for ever and ever: and they have no rest day nor night, who worship the beast and his image, and whosoever receiveth the mark of his name. 12 Here is the patience of the saints: here are they that keep the commandments of God, and the faith of Jesus. 13 And I heard a voice from heaven saying unto me, Write, Blessed are the dead which die in the Lord from henceforth: Yea, saith the Spirit, that they may rest from their labours; and their works do follow them. 14 And I looked, and behold a white cloud, and upon the cloud one sat like unto the Son of man, having on his head a golden crown, and in his hand a sharp sickle. While at first glance it is hard to determine if this long vision is a continuation of the previous one or a new vision. It introduces what is probably the most speculated about creature of Revelation, the seven headed beast. Actually this chapter by itself has generated its fair share of speculation; the seven headed beast, the lamb that speaks like a dragon and the infamous mark of the beast. Returning to the opening question, whether this is a new vision or a continuation of the vision of the dragon and the woman we must carefully look at everything that is said about it. If one takes the option that this is a continuation of that vision then this beast that John witnesses rising from the sea must occur sometime after 70 AD. However if one accepts that this is a completely separate vision then it is possible that the events portrayed occurred well back in history and could possibly span a great length of time. Even though this is a new vision it continues the theme of the previous vision. The prior vision introduced the primary characters in this long spiritual conflict; God’s chosen people and Satan. It briefly related the age long conflict between Gods’ chosen people and Satan’s’ attempt of subversion. In this vision we are introduced to the main weapons that Satan utilizes in this conflict; the multi-headed beast and the false prophet. As one progresses through Revelation one gains more insight to these creatures and how they attempt to subvert and thwart God and overcome and destroy his Holy People. It may surprise some to learn that actually this multi-headed creature was initially mentioned in the Old Testament; the Book of Daniel to be exact. To gain the Biblically based understanding we seek it will require we spend a significant amount of time examining the prophecies contained in Daniel. To try and gain an understanding of this vision solely through the contents of the vision will prove fruitless. Remember what we were told in Isaiah 28:10 “…precept must be upon precept, precept upon precept; line upon line, line upon line; here a little, and there a little” and this most certainly applies here. We will find clues in both Daniel and Revelation that will help us to gain the understanding we are seeking. We need to look at the pieces of this vision to gain an understanding of the whole. John begins by telling us that he was standing “upon the sand of the sea” (vs. 1) when he sees a beast coming out of the sea. Some claim that the sea John sees the beast rising from is the Mediterranean and the identity of the beast that some have made would support this conclusion. However the sea is also used as a symbol of the nations of the world (Rev. 17:15) so one could correctly say that this vision is portraying the rise of this beast from the nations/people of the earth. Again, the devil taketh him up into an exceeding high mountain, and showeth him all the kingdoms of the world, and the glory of them; 9 And saith unto him, All these things will I give thee, if thou wilt fall down and worship me. In the sense of speaking evil of God this word is found in Ps. 74:18; Isa. 52:5; Rom. 2:24; Rev 13:1, 6; 16:9, 11, 21. It denotes also any kind of calumny, or evil-speaking, or abuse (I Kings 21:10; Acts 13:45; 18:6). Our Lord was accused of blasphemy when he claimed to be the Son of God (Matt. 26:65 comp. Matt. 9:3; Mark 2:7). They who deny his Messiahship blaspheme Jesus (Luke 22:65; John 10:36). Blasphemy against the Holy Ghost (Matt. 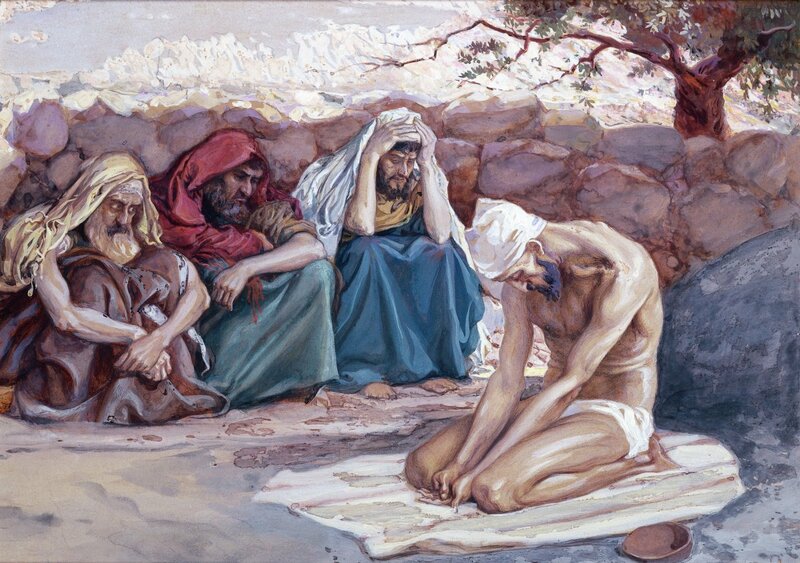 12:31, 32; Mark 3:28, 29; Luke 12:10) is regarded by some as a continued and obstinate rejection of the gospel, and hence is an unpardonable sin, simply because as long as a sinner remains in unbelief he voluntarily excludes himself from pardon. Others regard the expression as designating the sin of attributing to the power of Satan those miracles which Christ performed, or generally those works which are the result of the Spirit's agency. Little children, it is the last time: and as ye have heard that antichrist shall come, even now are there many antichrists; whereby we know that it is the last time…Who is a liar but he that denieth that Jesus is the Christ? He is antichrist, that denieth the Father and the Son…And every spirit that confesseth not that Jesus Christ is come in the flesh is not of God: and this is that spirit of antichrist, whereof ye have heard that it should come; and even now already is it in the world. Many purport that the antichrist is a single individual, but as the above scriptures show anyone that denies that denies the Father and the Son, that Jesus lived and/or that Jesus is the Christ is an antichrist. So there is not a single antichrist, but many and this trait might be at least one of the facets making up the beast. But again remember that the beast has his power through Satan and Satan is a deceiver so this denial of Christ may be very subtle, at least to the unaware. The wise servant will remember to “Prove all things; hold fast that which is good.” (I Thess. 5:21). dreadful and terrible, and strong exceedingly; and it had great iron teeth: it devoured and brake in pieces, and stamped the residue with the feet of it: and it was diverse from all the beasts that were before it; and it had ten horns.. Unless this aspect of the beast in Daniel having ten crowns as does the one in Revelation is purely coincidental then these two scriptures are referring to the same creature and as we shall see that is the case. John now provides the reader with a description of the beast’s body; he writes that the beast is like a leopard, but has the feet of a bear and the mouth of a lion (vs.2 ). Once more we need to return to the Book of Daniel to gain some insight about the parts of this creature’s makeup. Daniel spake and said, I saw in my vision by night, and, behold, the four winds of the heaven strove upon the great sea. 3 And four great beasts came up from the sea, diverse one from another. 4 The first was like a lion, and had eagle's wings: I beheld till the wings thereof were plucked, and it was lifted up from the earth, and made stand upon the feet as a man, and a man's heart was given to it. 5 And behold another beast, a second, like to a bear, and it raised up itself on one side, and it had three ribs in the mouth of it between the teeth of it: and they said thus unto it, Arise, devour much flesh. It is possible that this fourth beast that Daniel and John saw may be a compilation of the first three beasts mentioned in Daniel’s vision. Many Biblical scholars claim that these four creatures represent the four kingdoms (Babylon, Medo-Persia, Greece and Rome) represented by the great statue seen by King Nebuchadnezzar in Daniel 2. An examination of what Daniel writes about these three creatures may help us to determine if this is correct. The first creature is described as “like a lion, and had eagle's wings: I beheld till the wings thereof were plucked, and it was lifted up from the earth, and made stand upon the feet as a man, and a man's heart was given to it” (vs. 4). Many, as was stated, equate this beast with the Babylonian empire. They claim that this is proven by the fact that the symbol of Babylon was a lion with eagle’s wings. Further they say that the talk of the lion’s wings being plucked off is referring to God making King Nebuchadnezzar lose his mind and become like a wild beast for seven years to show Nebuchadnezzar that he was God (Dan. 4:5-36). They also contend that the last part of the scripture, the lion being lifted to his feet and given a man’s heart is talking about when Nebuchadnezzar regains his sanity and returns to the throne. Others have identified the lion as modern day Britain, saying that the lose of its wings represent when the United States rebelled and became an independent nation. They claim that England was forced to behave like a man instead of a beast after this point in history; instead of depending on the brute strength of its military it was forced to use negotiation and diplomacy. Many say that the second beast, the bear, is either the Medo-Persian empire that conquered the Babylonian empire or modern day Russia/Soviet Union. Regarding it being the Medo-Persian empire they point to the mention that the bear is lying on its side and that it had three ribs in its mouth. These three ribs, they believe, represent the three kingdoms that the Medes and Persians conquered as they were rising to power; Lydia, Egypt, and Babylon. For those supporting the Soviet Union identification they first point out that the bear was the national symbol of the Soviet Union. Also they say the command for this bear to rise and devour much flesh is indicative of the bloody reign of the Soviet Union, primarily prior to and during World War 2. The third beast most identify as being ancient Greece. They point out that first off ancient Greece was the third part of the great image that Nebuchadnezzar saw. Also that Greece, after the death of Alexander the Great, was divided among four of his generals. I beheld till the thrones were cast down, and the Ancient of days did sit, whose garment was white as snow, and the hair of his head like the pure wool: his throne was like the fiery flame, and his wheels as burning fire. 10 A fiery stream issued and came forth from before him: thousand thousands ministered unto him, and ten thousand times ten thousand stood before him: the judgment was set, and the books were opened. 11 I beheld then because of the voice of the great words which the horn spake: I beheld even till the beast was slain, and his body destroyed, and given to the burning flame. Are the three horns that the little horn plucks up the three creatures Daniel talks about prior to the beast he sees? Evidence contained in the vision, along with related scriptures, would tend to support this contention. Returning to John’s description of the beast he relates how he sees that one of the beasts heads was wounded to death and how the wound was somehow healed and the world was amazed by this (vs. 3). Again since we have seen through God’s word that this beast will arise during the traumatic events of the Day of the Lord and possibly initially during the Great Tribulation it is a waste of time to try and find a historical fulfillment of these events. However by being aware of them before hand one can be better prepared when they do begin to happen. John tells how the world marvels after the beast or actually one of the heads that was wounded and recovered. The world is amazed and wonders how anyone (i.e. another nation) can make war against it, indicating it is to be an economic and/or military super power (vs. 4). Next we are told that the beast was given a mouth, possibly some kind of spokesman or something similar, and that this mouth spoke great things and blasphemies (vs. 5). John tells us that this mouth blasphemies “God…his name, and his tabernacle, and them that dwell in heaven” (vs. 6). It is interesting that the little horn Daniel spoke of also had “a mouth speaking great things”.(Dan. 7:20). That Daniel and John are speaking of the same beast can be found by examining what they write about their activities. Both tell of how it speaks great words (Dan. 7:8, 11, 20; Rev. 13:5), it blasphemies God (Dan. 7:25; Rev. 13:1, 5; 17:3) and it makes war on the saints of God (Dan. 7:21, 25: Rev. 11:7; 13:7). Last, it exists for three and a half years; actually it is allowed to exist for three and one half years. BOOK OF LIFE -- (cepher chayyim; he biblos tes zoes, “book of life”): The phrase is derived from the custom of the ancients of keeping genealogical records (Ne. 7:5, 64; 12:22, 23) and of enrolling citizens for various purposes (Jer 22:30; Eze 13:9). So, God is represented as having a record of all who are under His special care and guardianship. To be blotted out of the Book of Life is to be cut off from God's favor, to suffer an untimely death, as when Moses pleads that he be blotted out of God's book--that he might die, rather than that Israel should be destroyed (Ex. 32:32; Ps. 69:28). In the New Testament it is the record of the righteous who are to inherit eternal life (Php 4:3; Rev. 3:5; 13:8; 17:8; 21:27). In the apocalyptic writings there is the conception of a book or of books, that are in God's keeping, and upon which the final judgment is to be based (Dan. 7:10; 12:1; Rev. 20;12, 15) compare Book Jubilees 39:6; 19:9). This worship is achieved by another beast that John sees coming up out of the earth; the creature has two horns like a lamb but spoke like a dragon. A very compelling and dramatic false religion we shall see. John tells us that this false religious order has all the power of the first beast and it causes the people of earth to worship the first beast (vs. 12). It says that this beast can make fire rain down from heaven in the sight of men (vs. 13), much like the two witnesses. It is interesting to note that while this beast is actively operating against God there is an implied control still over it. In referring to how the false religion beast deceives the people of the world it says of these wonders that he “had the power to do” (vs. 14). In the following verse it says that he had power to give life to the image of the beast. As was said there is a quiet inference that this beast is operating within some sort of restraint. The false religion beast also causes those that do not worship the multi-headed beast to be killed. He also causes everyone, great and small, to receive a mark in their right hand or in their forehead; the infamous mark of the beast. This mysterious ‘mark of the beast’ has spawned its fair share of speculation, but most of it is based on an incorrect combination of the scriptures talking about this mark. that no man might buy or sell, save he that had the mark, or the name of the beast, or the number of his name. Note what is said that a person will need to be able to buy or sell during this time; (1) the mark, (2) the name 0f the beast or (3) the number of his name. So the number 666 is not the mark of the beast. It is quite possible that this mark, contrary to popular belief, may not even be visible. Recall how back in Revelation chapter seven where the four angels that were going to hold back the winds from blowing were prevented until the servants of God were marked with the seal of God (7:1-3). And where were these servants sealed, in their foreheads (vs. 3); the same wording as in this verse talking about the mark of the beast. So it is quite possible that this mark may be an invisible mark, at least to human eyes. Further it may be that it is more of a mind set, recall that behind our foreheads is where our higher mental functions (i.e. thinking) occur. Also it says that those that worship the beast and accept his mark are deceived by the activities of the false religion beast and it is this beast that causes the world to receive the mark. 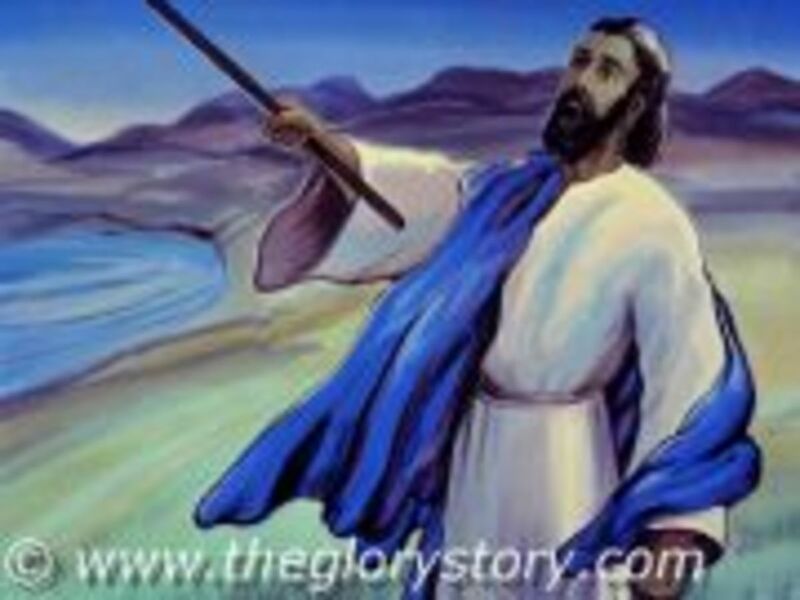 John does not tell if he is still standing by the sea, he just says that he next sees the Lamb, Christ, standing on Mt. Sion and with him a hundred and forty four thousand. Unless these are a completely different group of people, and there is nothing to indicate they are, then this is the 144,000 first mentioned in Revelation seven. We glean a little more information about this group; other then they are from the tribes of Israel as was learned in Revelation seven. Just before this part of the vision John tells of the people of the world receiving the mark of the beast on or in their foreheads and these people here have God’s name written in their forehead. Again we need to recall how in chapter seven John talked about the chosen from the tribes of Israel had been marked with the seal of God (Rev. 7:2). The seal of God, which would appear to be his name imprinted on us, protects those with this seal similar to what was recorded in Ezekiel 9. But now is Christ risen from the dead, and become the firstfruits of them that slept…But every man in his own order: Christ the firstfruits; afterward they that are Christ's at his coming. As was shown these individuals are descendents of Israel, both the nation and the man named Israel, but can we get a better idea of whom they might be? While we can not identify them specifically we can learn what identifies them as being of God’s chosen. First John tells that they are virgins, that they were not defiled with women (vs. 4). Some have interpreted this literally and claim that they are males that have never had sexual relations with a woman. It is doubtful that this is what is meant. For if this is true then obviously Moses, King David and Ezekiel to name just a few Biblical men that had wives would not be among this group. This interpretation would seem to be a case of taking the verse too literally. It is more likely that this is another analogy; that these virgins are virgins in a spiritual sense. The Bible often uses a woman as a symbol of religious thoughts or beliefs, both good and bad. Recall how a woman was used in the Revelation 12 as a symbol of God’s chosen people and as we shall see later in Revelation a woman is used to represent the end-time Babylon (Rev. 17 and 18). The ancient Babylon is also depicted as a woman (actually a daughter) in Isaiah 47 and Paul uses a woman as symbols of the two covenants (Gal. 4:21-31). In Ezekiel 16 God uses a woman as a symbol of Israel as he recounts his relation with Israel. So a more plausible understanding here and recall that Revelation relies heavily upon symbols, is not that these people have not experienced sexual relations, but actually have not been involved with inappropriate religious systems. This is strongly supported by what follows. John tells us that they follow the Lamb where ever he goes (vs. 4) and that they have been redeemed from the earth. So it appears that these people, male and female, are virgins in the spiritual sense and not the physical; also nowhere does God condemn sexual relationships; that is sexual relations within the marriage, between a man and his wife, and not outside of it. John concludes by telling that these people are without fault before the throne of God (vs. 5). We know that this was not by their own actions, but through the shed blood of Christ (Rev. 7:14; 12:11) this would further confirm the belief that they are spiritual virgins and not actual physical virgins. .
Notice Christ said that the end comes after this event (i.e. the preaching of the Kingdom of God to the whole world). The end as Christ called it is not the end of the world as some have speculated, but the end of Satan’s rule over the earth. This end also comes with God’s wrath and indignation (vs. 10). The second angel announces that Babylon has fallen (vs. 8), he adds that the great city had made all the nations “drink of the wine of the wrath of her fornication”. John, in later visions, provides clues as to exactly who or what this great city is. The second angel has a very brief message consisting of a single sentence. He simply announces that “Babylon is fallen” (vs. 8). However later we are given more about the fall of Babylon, but here it is briefly mentioned and then the vision moves on. The third angel then says that whoever worshipped the beast and his image and received the mark of the beast will be forced to drink “of the wine of the wrath of God” (vs. 10). "The wine of God's wrath," is a common Old Testament metaphor for divine punishment (Job 21:20; Psalm 75:8; Isaiah 51:17; Jeremiah 25:15-28). The angel concludes with an ominous sentence about what these people will suffer and yet it is actually an incorrect fear that the Medieval Church created and has foisted upon the Christian world. …be tormented with fire and brimstone in the presence of the holy angels, and in the presence of the Lamb:11 And the smoke of their torment ascendeth up for ever and ever: and they have no rest day nor night, who worship the beast and his image, and whosoever receiveth the mark of his name. This horrific image of the fate of sinners has caused considerable quandary among some as to how a loving God could subject people to such cruel permanent treatment. But that is what the scriptures say will happen to them. Yes that is what the verses appear to day, in English! However a careful examination of the original wording and their meaning at that time will provide a clearer picture of what is destined for those that had received the mark of the beast or worshipped it. To get a correct understanding of this topic we must break it down into pieces and that way we might gain an understanding of the whole. The parts we need to clarify are; “tormented with fire and brimstone”, “the smoke of their torment ascendeth up for ever and ever” and “they have no rest day nor night”. How long is for ever and ever? Many believe that the condemned are sentenced to be in hell for eternity and, again, yes that is what it says in English. The Greek word that is rendered as ‘ever’ in Revelation 14:11 is “aiōn”. This word is translated from various forms of the Greek adjective aionios. This adjective is derived from the Greek noun aion, which is generally translated “ever,” “forever,” “evermore,” or “eternity” in the New Testament, but. aion is also rendered as “world” and “age” in other scriptures. Αιων, transliterated aeon, is a period of time of longer or shorter duration, having a beginning and an end, and complete in itself. Aristotle (περι ουρανου, i.9, 15) says: “The period which includes the whole time of each one's life is called the aeon of each one.” Hence, it often means the life of a man, as in Homer, where one's life (αιων) is said to leave him or consume away (Il. v. 685; Od. v. 160). It is not, however, limited to human life; it signifies any period in the course of events, as the period or age before Christ; the period of the millennium; the mythological period before the beginnings of history. The word has not a “stationary and mechanical value” (De Quincey). It does not mean a period of a fixed length for all cases. There are as many aeons as entities, the respective durations of which are fixed by the normal conditions of the several entities. There is one aeon of a human life, another of the life of a nation, another of a crow's life, another of an oak's life. The length of the aeon depends on the subject to which it is attached. The word always carries the notion of time, and not of eternity. It always means a period of time. Otherwise it would be impossible to account for the plural, or for such qualifying expressions as this age, or the age to come. It does not mean something endless or everlasting. . . . The adjective αιωνιος in like manner carries the idea of time. Neither the noun nor the adjective, in themselves, carry the sense of endless or everlasting. 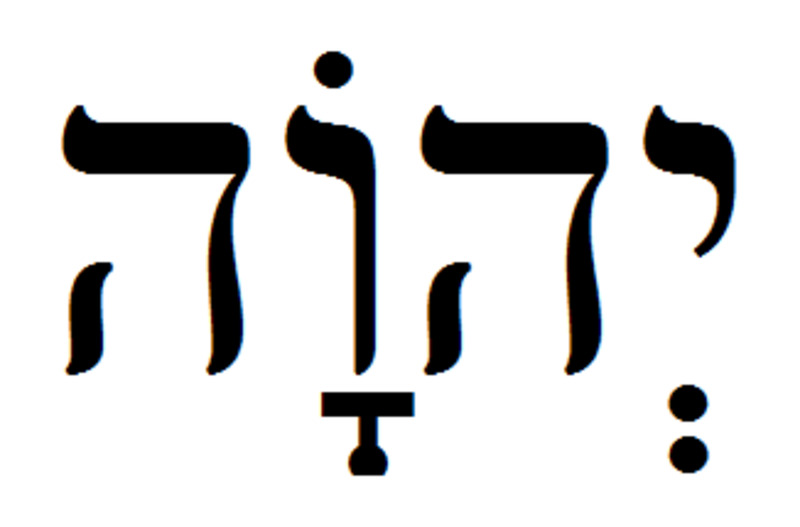 The equivalent Hebrew word for aion is olam this word or its variation is found 439 times in the Hebrew Scriptures. When the Old Testament was translated from Hebrew into Greek by Jewish translators, the word aion had been in common use for many centuries. It is absurd to think that the translators would render the Hebrew olam by the Greek aion and give it a different meaning from what it had meant for the past few centuries or a different meaning from aion in the current Greek literature. It is important to note that the Greek word aionios, translated “eternal” or “everlasting,” literally means “lasting for an age.” Ancient Greek papyri contain numerous examples of Roman emperors being described as aionios. What is meant is that they held their office for life. Unfortunately, the English words “eternal” or “everlasting” do not accurately render the meaning of aionios, which literally means “age-lasting.” In other words, while the Greek aionios expresses perpetuity within limits, the English “eternal” or “everlasting” denotes unlimited duration. It is obvious that Edom is not burning now and has not been for some time; ever since it was destroyed by the divine fire that God sent. Notice that Isaiah said that it will lie in waste from generation to generation so the punishment was essentially forever not the punishing. So the same conclusion can be drawn about the lake of fire. We have seen how the idea that God will condemn sinners to a never ending state of being cruelly punished is not Biblical. Although it is Biblically correct that the condemned will serve some kind of punishment but it will, at some time, end. We now turn to this most misunderstood and downright incorrect concept of what this torment is. It is this idea that a loving God would willingly force human beings, the beings he loves so much that he gave his only begotten son to die for us (John 3:16). A being that Paul tells us our relationship with him is such that we can cry to literally Daddy or Papa (Rom. 8:15; Gal. 4:6). It is a legitimate question of how such a loving being could sentence his beloved children to torture and although we have seen that it is not forever; still how can he do this? As we shall see this illusion of sinners being cruelly tortured while Jesus and the angels watch is in fact a delusion and is based on a misunderstanding of what John wrote. While John does not provide us with any details as to this torment he does tell us what the instruments of this torment is; fire and brimstone (vs. 10). One quick point, notice that John refers to this torment as being in the future, at the second coming of Christ; he repeatedly says that those that receive the mark shall drink and shall be tormented so the idea that this fiery torture chamber is active at this time is incorrect; at least according to the Bible. John relates that those that are condemned to incur God’s wrath are tormented with fire and brimstone. While many have probably heard references to the traditional “hell fire and brimstone” theatrical sermons they may not know exactly why fire and brimstone are the instruments of God’s wrath. But as we shall discover there is a reason that John mentions these items. It will also be seen that the popular idea of these being used as instruments of torture is not a valid assessment. First let us understand what is actually meant that these people are being tormented or tortured. The Greek word that is rendered as “torment” or “tormented” is basanizo and basanismos. . . .βάσανος originally belongs to the calling of the inspector of coins. It is linked with the Heb. root בחן ("to test"). . . The testing of gold and silver as media of exchange by the proving stone, was first developed by the Babylonians, then came to the Aramaeans and Hebrews by way of Lydia . . . and from them to the Gks. In non-biblical Gk. βάσανος is a commercial expression, or is used in relation to government. It then acquires the meaning of the checking of calculations, which develops naturally out of the basic sense of βάσανος, βασανίζειν . . . In the spiritual sphere it has the figur. sense, which is closely related to the original concrete meaning, of a means of testing . . . So with this knowledge of the true meaning of the words must result in a fundamental change of our understanding. No longer is the term rendered as torment understood to be a process of torturing, but a means of testing or proving. Next we need to understand why fire and brimstone is used in this testing period. Most people probably know brimstone by its other name, sulfur; the Greek word for brimstone is theio, this word comes from theios which in Greek means divine. In ancient times brimstone was “regarded as divine incense to purify and prevent contagion.” It may seem when one views these scriptures through incorrect lenses that this idea that Christ, who gave his life for all mankind (I Tim. 2:6), would watch these people suffer for all time (vs. 10). But seeing these scriptures with Biblically based understanding we see now that eternal punishment is not the desire of God, seeing that he wills that all men be saved (I Tim. 2:4). Some may question as to why God uses this method of cleansing these people; through fire and brimstone. But this has been God’s method with all of his chosen people. He has always refined and purified those people he is calling to be his children (Ps. 34:19, 66:10-12; Pro. 17:3; Isa. 48:10; Jer. 9:7; Dan. 11:35; 12:10; Zec. 13:9; Mal. 3:1-3; II Cor. 4:17; I The. 3:2-4; Heb. 12:10; Jam. 1:2-4; I Pet. 1:6-7; 4:12-13). So we now understand that those that receive the mark of the beast are not endlessly tortured, but are tested and cleansed through divine testing and purification that is over seen by Christ and his holy angels and this testing will occur over a long indefinite time. While at this point in the overall narrative John does not tell us more about this ordeal of the guilty, instead he backtracks and talks about, again in very brief terms, the ‘harvest’ of the people and as other verses reveal the separation of the good from the bad. 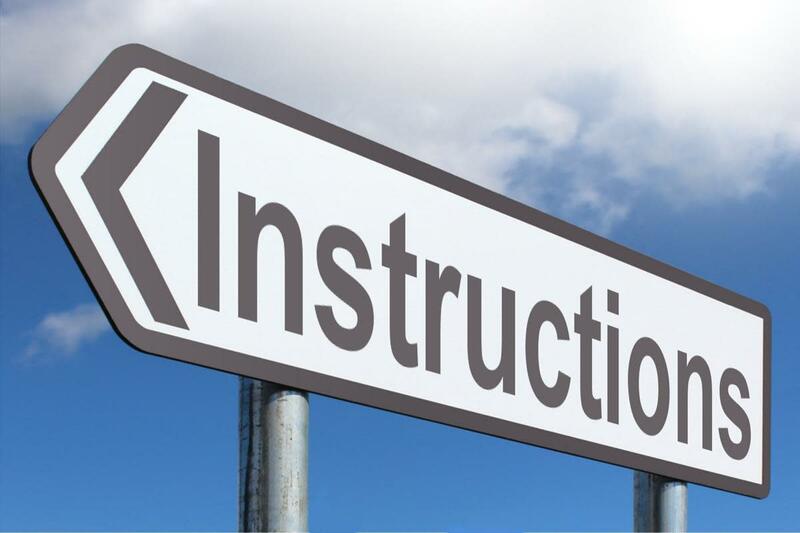 At first glance of this vision one may be confused as to the events being described and to some of the characters, but using the Bible as our primary guide we can gain an understanding. If one looks at the narrative of this vision one would realize that regarding the three angel’s proclamations the description of the fate of the guilty is a quick jump forward; one might say a brief look at what’s to come. John’s description of the earthly harvest takes us back to the events in the story flow or the sequence of events, following the third angel’s announcement. This event is the great harvest of the people of the earth. We need to recall what had just occurred in the story flow of the events of the Day of the Lord. Prior to John’s diversion from the events of the Day of the Lord to give a brief history of the age-long struggle between God’s people and Satan (Rev. 12 & 13) he had told of the resurrection of the two witnesses and their ascent into the clouds and it is announced that “The kingdoms of this world are become the kingdoms of our Lord, and of his Christ” (Rev. 11:15). Further we were told that “And the nations were angry, and thy wrath is come” (11:18). We have also seen that this coincides with the return of Jesus Christ to the earth and it is here where John now resumes his narrative. One might logically ask why does John refer to the being on the cloud as a he or him if in fact he is an angel. Why does John mention that he is wearing a golden crown, but makes no comment to whether the other angels have similar adornments? If this being that conducts the first harvest is not an angel then what about Jesus’ words that the angels are the ones that will conduct the harvest? Let us begin by examining the crown this being is said to be wearing. John tells us that he is wearing a golden crown (vs. 14). In discussing the eleventh vision the two different types of crowns that are mentioned in the Bible was examined. As we have seen angels maintain positions of authority and responsibility, but there appears no mention of one of them being crowned. However, we are told that God’s people will be crowned (1 Cor. 9:25; 2 Timothy 4:8; 1 Peter 5:4). A closer look at this golden crown will help guide us to the understanding we are seeking. As was said in the discussion about the eleventh vision there are two Greek words rendered as crown. 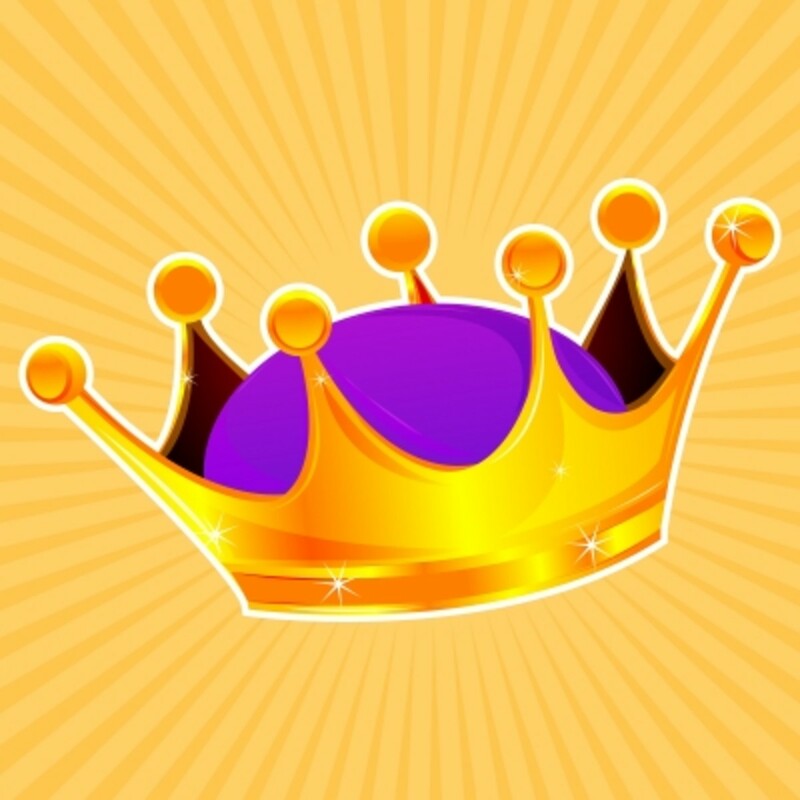 Generally in today’s society one tends to associate a crown as a symbol of royal power and ruler ship and one of the Greek words, Diadema, is considered referring to such a crown, a symbol of power and the authority to rule. However this word is used only three times in the Bible and only in the book of Revelation (12:3; 13:1; 19:12). The other word rendered as crowns is, Stephanos, this word or versions of it are used throughout the NT (1 Cor. 9:25; Php. 4:1; 1 Th 2:19; 2 Ti 4:8; James 1:12; 1 Peter 5:4; Rev. 2:10; 3:11; 6:2; 12:1; 14:14; plural in Rev. 4:4, 10; 9:7; “crowned” in 2 Ti 2:5; Heb. 2:9; “crownedst” in Heb. 2:7). It is this word that we find used here referring to the crown the being is wearing. So there is some evidence to support the contention that this being is not an angel. However the fact that he is a spiritual being can not be denied based on the crown he is wearing and the fact that John tells that he is sitting on a white cloud; clouds are considered a symbol of glory and majesty and is often associated with the Lord’s presence (Ex. 16:10, 24:16, 34:5; Num. 11:25; I Kings 8:10; Ps. 97:2). Is this then a definite contradiction; is Christ saying one thing and John’s vision saying another? To clarify this dilemma and gain the Biblical understanding we desire we must first remember that the basic style of Revelation is the use of symbols; recall the image of the lady with child in Rev. 12 and the red dragon to name just two. So too if we assume that this image is also a symbol of something we can remove the apparent contradiction. (i) the dignity of the relationship with God whereinto men are brought by the Holy Spirit when they believe on the Lord Jesus Christ, Rom. 8:19; Gal. 3:26. Still one might question as to why it says that this image of a man is portrayed as doing the reaping, but if one looks they will see that actually it does not say that this being does the reaping. John says that “he that sat on the cloud thrust in his sickle on the earth; and the earth was reaped” he does not specifically say that this being did the reaping where as when speaking of the angel with another sickle a few verses later and he is directed to thrust in his sickle and gather the vines of the earth, John says that this angel does gather the vines (vs. 18-19). To finally achieve a Biblical understanding of what this vision is portraying we need to examine some more of Jesus’ words and a brief background on the agricultural practices of Israel; not that it has changed all that much today. In the Israel there were actually three harvests; (1) in April was the barley harvest; (2) 7 weeks later was the wheat harvest, and (3) at the end of the year (October) was the fruit harvest. This harvest would appear to be represented by the first two harvests. Jesus in his parables about the tares cited above speaks of tares being sown into a wheat field. He explained the meaning of the symbols used in the parable to his disciples as representing; (1) he that sows the good seed is Jesus Christ; (2) the field is the world; (3) the good seed are the children of the kingdom; (4) the tares are the children of the wicked one; (5) the enemy is the devil; (6) the harvest is the end of the world; and (7) the reapers are the angels. Similar parable having a emphasis on when people receive the word and how they respond to it is the parable of the sower (Matt.13:2-8, 18-23). Taking these parables along with the vision in Revelation we can now reach an understanding. In the parable of the wheat and the tares we see that at the return of Christ the tares are separated; an interesting usage of tares as representing children of the evil one. The International Standard Bible Encyclopedia describes the most common type of tares as “most resembling wheat, and has been supposed to be degenerated wheat.” So this plant, one might say, is impersonating true wheat and so is this a description of the demeanor of the children of the devil Jesus mentions; they are essentially Christian in name only. Coupled with I Corinthians 3:8 which says; Now he that planteth and he that watereth are one: and every man shall receive his own reward according to his own labour (similarly themed verses include Job 4:8; Proverbs 22:8; Hosea 8:7; 10:12-13; Matt. 7:12, 19; II Corinthians 9:6; Galatians 6:7-8) we can now apply words to this picture. So based on this Biblical guidance we can now conjecture that this image and remember it is an image or actually a representation of the Biblical teaching of; as one sows so shall one reap; truly a display of the cliché that a picture is worth a thousand words. John next tells of a second harvest; this one much more expansive. Many have incorrectly claimed that these harvests are directed at the evil or unsaved but as we have seen this is not true; while, as we have seen, this first harvest involves the Christian world (both true Christians and those that incorrectly call themselves Christian). This second harvest collects essentially everyone that’s left alive. The dead, those that were not resurrected during the first resurrection remain in their graves and will be dealt with later as we shall see. There is no clear indication of exactly if this two harvests occur at the same time or are separate events and also how long this harvest takes. As we shall see the evidence indicates that both of these harvests will cover a significant amount of time; weeks or months. Whether this is the same angel or not is not mentioned, he simply instructs the previous angel to perform his duty and reap the earth. This angel then proceeds to reap the earth. This verse has created its fair share of debate and confusion; why is there a second reaping of the earth, who or what is being reaped and what exactly is the “great winepress of the wrath of God”. We may gain some understanding of why there is talk of multiple harvests by looking at the physical harvests that occur in the Holy Land again. As was said above there were three harvests conducted throughout the year; the first was the harvest of the barley crop and this occurred in April, the second harvest occurred seven weeks later and this was the wheat harvest and the third harvest happened in September/October and this was the fruit harvest. So using this as an example we see that the harvest right before this one is equivalent to the wheat harvest and this harvest is the spiritual fruit harvest. Using the physical harvests as an example of the spiritual one might rightly ask, when did the first, the barley, harvest occur? First a little background about barely; it was and still is to some extent, the food of the poor in country districts (Ruth 2: 1-7). It was also with this grain that God fed a large mass of people (II Kings 4: 38, 42-44; John 6:5-13). In a vision a loaf of barley was used to represent either Israel’s lowly army that was facing the Midianite’s or its leader Gideon (Judges 7:1-23). This may be significant, that barley is considered a poor person’s food in that we are told that it is the “poor of this world” that God has chosen (James 2:5). Returning to the question as to when the first harvest occurs, one might point to the first resurrection and how the angels gather God’s elect (Matt. 24:31) as being the first harvest. So we have seen that as in the physical world there are three separate harvests so to in the spiritual world there shall be three harvest; the first, the gathering of God’s elect, the second, those claiming to be Christian and finally the last harvest involves the rest of the world or at least what is left of it at that time. So what can we learn about this final harvest, what information does the Bible provide us about this event? John writes that the angel from the altar tells the other angel to thrust in his sickle and “gather the clusters of the vine of the earth; for her grapes are fully ripe”. One might ask how it can be determined that this is referring to the rest of the world and the key is in the reference to the vine of the earth and its clusters. In numerous places God uses vines and grapes as a symbol for Israel (Hosea 9:10; Is. 5:1-7; Jer. 6:9; Rom. 11: 17, 19, 24). In the eleventh chapter of the book of Romans Paul is reviewing the tumultuous relationship that God has had with Israel, he uses the analogy of an olive tree for Israel (Rom. 11: 17). The book of Romans was a letter to the Gentile people that had come into the church, Paul refers to them as “being a wild olive tree” (Rom. 11: 17). So we see a comparison between God’s chosen people (i.e. the Israelites) and the Gentiles as being that of a cultivated olive tree and a wild one. Referring to Gentiles as a vine and their fruit as unworthy can be seen in Deuteronomy chapter thirty two. God is talking about Israel’s straying into idol worship and from the teaching their father’s had received. He talks about how they have lost their way, “For they are a nation void of counsel, neither is there any understanding in them.” (Deut. 32: 28) He then says that “For their rock is not as our Rock” (vs. 31). He then tells why this is (i.e. the deplorable state of affairs of Israel) saying “For their vine is of the vine of Sodom, and of the fields of Gomorrah: their grapes are grapes of gall, their clusters are bitter” (vs. 32). So vines and the clusters on them sometimes represent nations and so is the case here with the last harvest. This gathering of the nations is also referred to in Ps. 107:1-3; Is. 24:21-22, 43:5-9; Ezek. 28:25, 34:17, 39:27; Matt. 25:31-46; Rev. 16: 14, 16. Scripture does not indicate if these last two harvests occur separately or concurrently nor does it indicate how long this gathering will take. There are indications that, whether the gatherings happen at the same time or not, it will cover a fair amount of time; as a physical harvest does. However long this gathering of the vines/nations of the earth requires John tells us that upon their being gathered they are “cast… into the great winepress of the wrath of God” (vs. 19). God does this to “…punish the world for their evil, and the wicked for their iniquity; and I will cause the arrogancy of the proud to cease, and will lay low the haughtiness of the terrible.” (Isaiah 13:11). John then tells that the winepress is trodden outside of the city and that the blood flow is about two hundred miles in length and as high as the horse bridles (vs. 20). There are no other details given by John about this gruesome event which invites baseless speculation. Some have speculated as to exactly what is the “winepress of the wrath of God” but this speculation is unfounded for we are clearly told of the elements of God’s wrath. 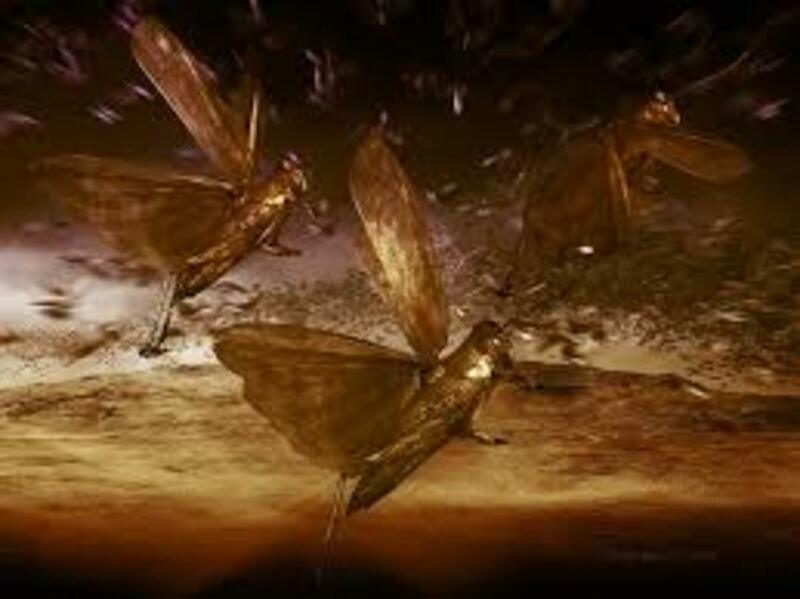 The opening verse in the following chapter in Revelation tells that God’s wrath is “filled up” in the seven plagues he is about to unleash upon the world (Rev. 15:1). Assemble yourselves, and come, all ye heathen, and gather yourselves together round about: thither cause thy mighty ones to come down, O LORD. Let the heathen be wakened, and come up to the valley of Jehoshaphat: for there will I sit to judge all the heathen around about. Put ye in the sickle, for the harvest is ripe: come, get you down; for the press is full, the vats overflow; for their wickedness is great. Multitudes, multitudes in the valley of decision: for the day of the LORD is near in the valley of decision. The valley of Jehoshaphat is known today as the Kidron valley and finally there has been some that claim that this all will happen before Christ returns; that all of this carnage will have been resolved prior to his return to earth, but the Bible clearly tells that it is Christ who will tread the winepress of God’s wrath (Rev. 19:15). As we shall see John has essentially given us the bloody highlights of the execution of God’s wrath upon the rebellious nations of the earth. The details of God’s wrath will be provided, but for now we have received a hint of what will transpire. Some might suggest that it is simply a different rendering of the same word; this is baseless, the word used in Rev. 12 and rendered as dragon is drakōn and the word rendered as beast in Rev. 13 is thērion. The International Bible Encyclopedia offers a more concise definition; “In classical Greek meant primarily "defamation" or "evil-speaking" in general; "a word of evil omen," hence, "impious, and irreverent speech against God." Dan. 7:25 renders it as a time and times and the dividing of time. Rev 13:5 says forty two months. Strong's G4622 – Siōn; apparently Zion or Sion is an acceptable translation. "Troublesome Questions," Kenneth Kantzer Christianity Today (March 20, 1987), p. 45. "everlasting" and "eternal" are also rendered for this Greek word. The Righteous Judge: A Study of the Biblical Doctrine of Everlasting Punishment Harold E. Guillebaud (Taunton, England, n. d.), p. 24. The Peshitta is the official Bible of the Church of the East and often refered to as the "Aramaic Bible." The name Peshitta in Aramaic means "Straight". 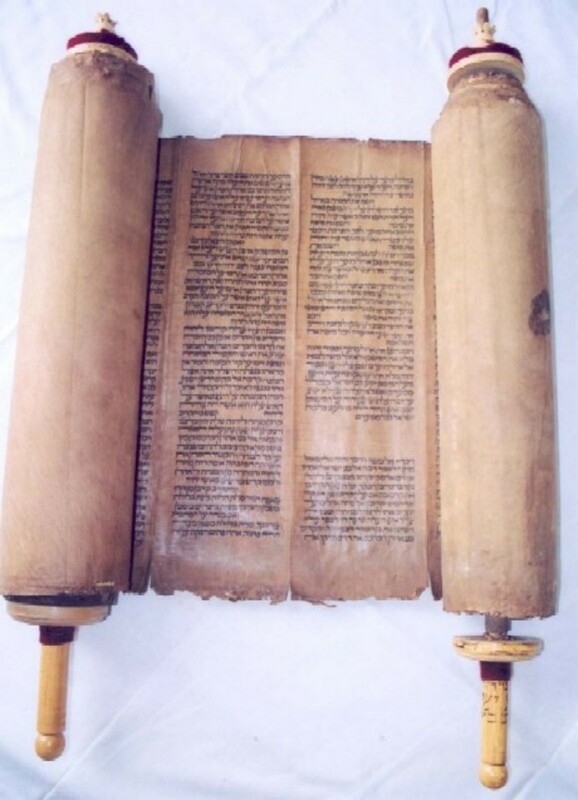 The Peshitta is the only authentic and pure text which contains the books in the New Testament that were written in Aramaic, the Language of Jesus Christ and His Disciples. In the KJV the word is rendered as crowns however it is rendered as diadems in the Revised Version (British and American) and the American Standard Revised Version. It was this act that preceded the sounding of the seven trumpets (Rev. 8:6).